Happy 2018! 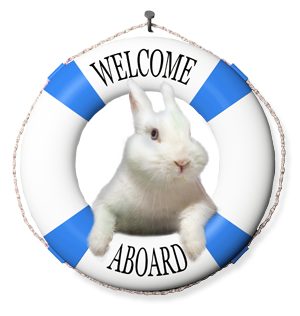 Leaping Bunny is so excited to announce that the Compassionate Shopping Guide has surpassed 1,000 brands that have made the commitment to be cruelty-free! As our list grows, we continue to appreciate each individual company that believes in the importance of being Leaping Bunny certified. Share the love and be sure to check below for a list of some of our newest additions. Also in this e-newsletter, Program Manager, Kim Paschen, relays her love of serums and provides reviews to revitalize your skin during these cold months. 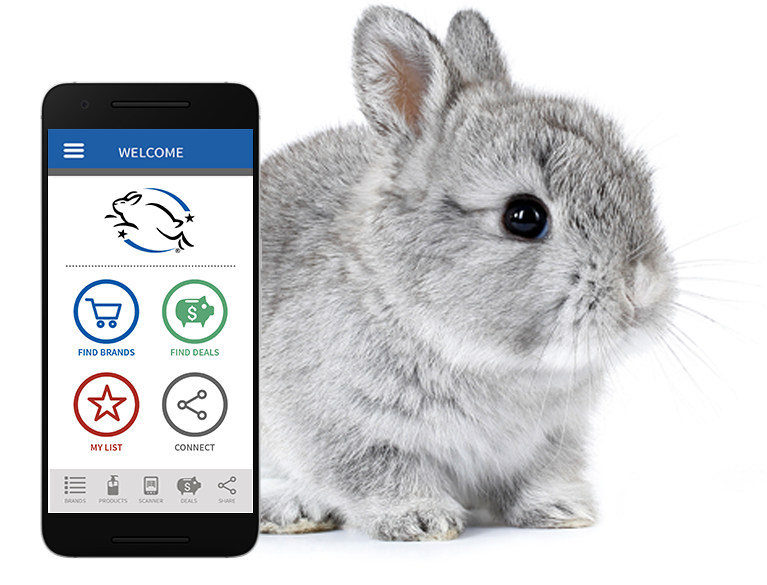 Additionally, we share exciting news of the launch of our Cruelty-Free Android App and the publication of all certified companies that recommitted to the Leaping Bunny Program in 2017. We end with a Q&A from popular indie beauty brand, Antonym, and promotions from Botanic Organic and Hype. Oh, January! Your cold and blustery days coupled with the toasty yet dry heat indoors are determined to wreak havoc on my face, sucking out moisture, glow, and elasticity. What to do to combat this most challenging time of year? 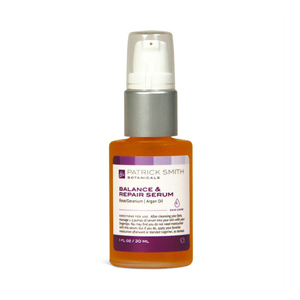 I’ve got one word for you: SERUMS. Serums are super concentrated and made up of very small molecules which can easily penetrate and deliver a powerful boost of any/all of the following: vitamins, antioxidants, helpful acids (like glycolic and ferulic), oils, or extracts from ingredients like green tea. Common ailments they help combat include inflammation, uneven skin tone, and dryness. They can be both water- and oil-based and you apply them after your cleanser/toner but before your moisturizer. They tend to be more expensive than the aforementioned products, but a little goes a very long way. Just a couple drops per application will suffice. What I love the most about this crystal-clear serum is how effortlessly it blends into my skin. It feels so clean! There is no residue or scent whatsoever. But that doesn’t mean it’s not working. 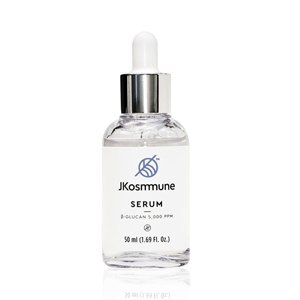 This serum is powered by 97% pure beta glucan which deeply moisturizes. My skin felt more hydrated and looked brighter after just a few uses. It’s good for all skincare types, too! This lovely serum combines the soothing properties of sweet almond oil and sandalwood oil with the ultra-hydrating ingredients hyaluronic acid and a derivative of vitamin B5. Along with jasmine extract, these ingredients both calm and moisturize the skin. It feels deeply nourishing yet does not leave an oily residue. The scent is light but quite refreshing. 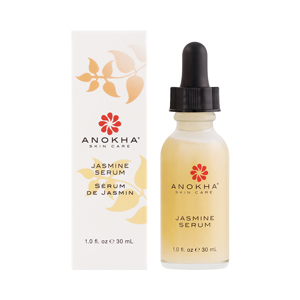 Organic, wildcrafted oils, including apricot, argan, rosehip, wheat germ, and flower oils are the stars of this serum. No worries about an oily residue or sheen; it quickly absorbs for a smooth and silky feel. The oils specifically work to clarify and soothe irritated skin, and thanks to its rich composition, you may not even need a moisturizer after applying. You may have noticed that our brand new iPhone app launched back in July of last year. Thank you for being patient, Android users! Your version is finally available. It has all of the iPhone features and is available for free download in Google Play. Just search ‘cruelty free’ to find it or download here! The new app will be updated on a quarterly basis. For the most update-to-the minute list, however, check out the online Compassionate Shopping Guide on our website. 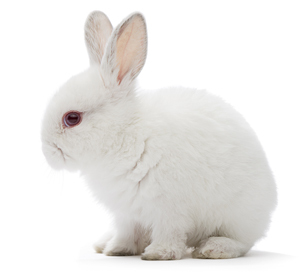 One of the things that separates the Leaping Bunny Program from other certification programs is our requirement that companies recommit to being cruelty-free on an annual basis. 'Recommitment' is the term we use to describe the process companies go through to ensure their supplier monitoring system is up to date, to make sure they are not selling in any overseas markets that require animal testing, and to reaffirm their agreement to not conduct animal testing on any finished products, ingredients, or formulations. Since this process is done on a rolling basis, companies recommit throughout the year, depending on the month they were originally certified. We are excited to announce that the complete list of companies that recommitted in 2017 is now live on our website! 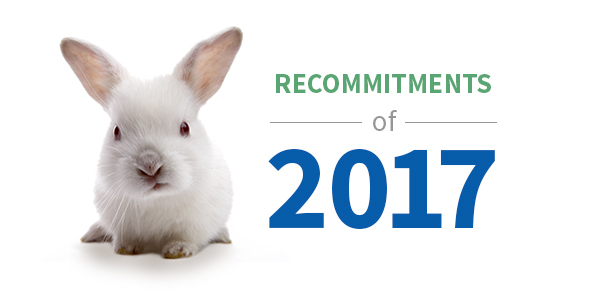 Leaping Bunny is hopping into 2018 with over 1,000 companies that have made the cruelty-free commitment! Check out some of our most newly certified companies below and be sure to click on their links to learn more! Pure organic skincare handcrafted in Hawaii. A small company from California with a passion for holistic lifestyle focusing on natural deodorant. Eco-friendly, fair trade skincare products with a zero-waste production. Super-cleaning, high performance dental floss made with coconut oil. Bath and body line powered by nature and perfect for layering your favorite scent from head to toe. Natural deodorant and body sprays free of aluminum and toxins. All-natural, organic personal care products. Minimalist skincare company rooted in both cosmetic science and traditional herbalism. Complete mineral makeup line free of parabens, phthalates, synthetic fragrances, synthetic dyes, and talc, with vegan options. Online retailer with a focus on health and wellness with their own line of personal care and household products. All-natural, organic, and vegan grooming products for the holistic care of dogs and cats. 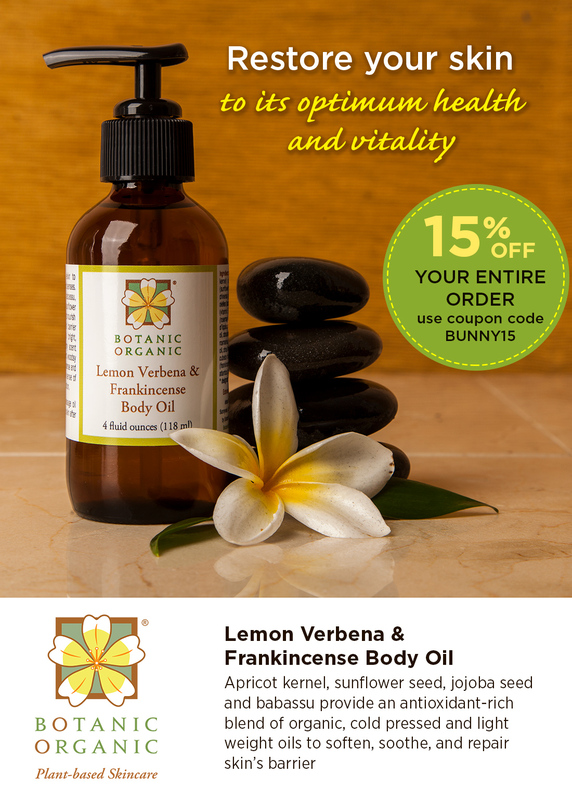 Vegan cosmetic company that focuses on massage oils, body salves, and exfoliants. Full line of natural, pant-based household cleaning products. Portland-based beauty brand with a commitment to high quality, long-wearing formulas that are vegan and non-toxic. Vintage glamour from a bygone era made with sustainable, vegan ingredients. We are so excited to ring in 2018 with a company spotlight on Antonym Cosmetics, which was Leaping Bunny certified this past August. Read our interview with founder Ivo Raza to learn more about this beauty brand that has exploded in the indie beauty community. Indeed, the genesis of the name is that we wanted to create a natural and organic makeup brand that is different…in a world of synonyms, we are antonym. 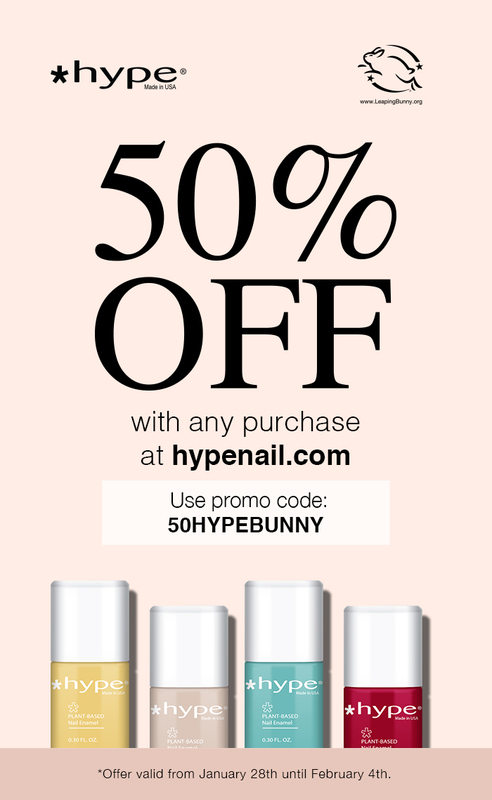 To provide high performance cruelty-free makeup made with clean ingredients. Our Baked Blushes and the Noir Eye pencil. What makes Antonym different than other similar brands? Every single one of our products is made with certified natural and organic ingredients. 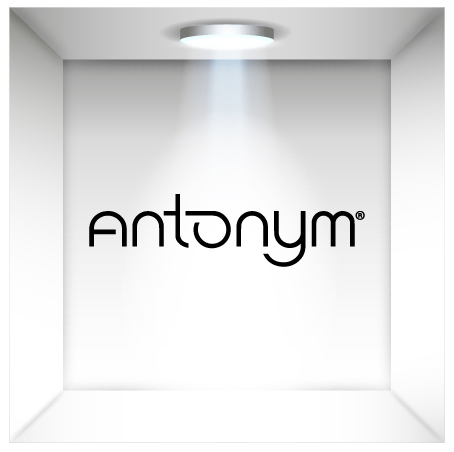 What has been the most rewarding part of creating Antonym? Creating a product that helps improve people’s lives just a bit is immensely rewarding. Why is being Leaping Bunny certified important to Antonym? Because being cruelty-free has been part of our DNA since the inception. Absolutely. Bamboo is a sustainable material which fits with our brand’s DNA. What is something unique about Antonym that others may not know? Lola Lash Too mascara was named after Val’s [the co-founder] dog Lola who had the most amazing lashes.